Life in the Universe provides a space age examination of the basic question: Is life, especially intelligent life, unique to Earth? Human interest in the origins of life and the possibility of life on other worlds extends back deep into antiquity. Throughout history, each society's "creation myth" seemed to reflect that particular people's view of the extent of the universe and their place within it. Today, as a result of space technology, the scope of those early perceptions has expanded well beyond the reaches of this solar system—to other stars of the Milky Way galaxy, to the vast interstellar clouds that serve as stellar nurseries, and beyond to numerous galaxies that populate the seemingly infinite expanse of outer space. Just as the concept of biological evolution implies that all living organisms have arisen here on Earth by divergence from a common ancestry, so too the concept of cosmic evolution implies that all matter in a solar system has a common origin—a primordial cloud of dust and gas with roots that extend all the way back to the big bang event that occurred about 14 billion years ago. This book describes how scientists now use the overarching concept of cosmic evolution to postulate that life may be viewed as the product of countless changes in the form of primordial stellar matter—changes brought about by the interactive processes of astrophysical, cosmological, geological, and biological evolution. Life in the Universe shows how the arrival of space technology, as well as enormous space age improvements in ground-based astronomy, are being used to hunt for life, existent or extinct, on other worlds in the solar system. The Red Planet, Mars, and the intriguing Jovian moon, Europa, are currently prime candidates for expanded investigation. This book explains the principles of exobiology and how these principles are being used to guide robot spacecraft in the search for life beyond Earth. Exobiology (also called astrobiology) is the multidisciplinary field that involves the study of extraterrestrial environments for living organisms, the recognition of evidence of the possible existence of life-forms in these environments, and the study of any nonterrestrial life-forms that may be encountered. One key concern, if nonterrestrial life is found in microscopic form somewhere in the solar system, is that of extraterrestrial contamination. Life in the Universe describes the international planetary quarantine procedures that have been developed and used by life-hunting scientists within the space exploration community. Recent astronomical evidence suggests that planet formation is a natural part of stellar evolution. So scientists are now using a variety of Earth-based and space-based techniques in their continuing search for extrasolar planets, especially Earth-like planets that may have the capacity to support life. If life originates on "suitable" planets whenever it can (as many exobiologists currently suggest), then knowing how abundant such suitable planets are in the Milky Way galaxy would allow scientists to make more credible guesses about where to search for extraterrestrial intelligence and what the basic chances are of finding intelligent life beyond humans' own solar system. Life in the Universe includes some of the well-known speculative discussions about intelligent extraterrestrial life, including Kardashev civilizations, the Dyson sphere, the Fermi Paradox, and the Drake equation (see glossary). This book also describes some space age efforts at interstellar communication, including the Arecibo radio telescope message, the special plaques placed on the Pioneer 10 and 11 spacecraft, and the digital recordings carried by the Voyager 1 and 2 spacecraft. No discussion of intelligent alien life is complete without some additional speculation concerning the consequences of contact and the societal impact of finding out that the human beings may not be the only intelligent inhabitants of the galaxy. By addressing these and many other intriguing questions that have puzzled people since ancient times, Life in the Universe prepares the reader for some of the most exciting consequences that space technology may yield during this century. Life in the Universe also describes the historic events, scientific principles, and technical developments that allow sophisticated robot exploring machines to visit intriguing worlds in the solar system, hunting for signs of life—existent or extinct. The book's special collection of illustrations includes historic, contemporary, and future extraterrestrial life-searching robot spacecraft—allowing readers to appreciate the tremendous aerospace engineering progress that has occurred since the dawn of the space age and what lies ahead. A generous number of sidebars are strategically positioned throughout the book to provide expanded discussions of fundamental scientific concepts and speculative theories about alien life. There are also capsule biographies of scientists who pioneered various aspects of exobiology. It is especially important to recognize that throughout this century and beyond, the space technology-based search for life beyond Earth could produce many exciting scientific discoveries that have enormous consequences for the human race. Such awareness should prove career inspiring to those students, now in high school and college, who will become the exobiologists, planetary scientists, or aerospace engineers of tomorrow. Why are such career choices important? If consciousness and life proves to be extremely rare, then future generations of human beings have a serious obligation to the entire (still "unconscious") universe to preserve carefully the precious biological heritage that has taken about four billion or so years to emerge and evolve here on planet Earth. If, on the other hand, life (including intelligent life) is found to be rather abundant throughout the galaxy, then future human generations might eagerly seek to learn of its existence and ultimately become part of a galactic family of conscious, intelligent beings. Sometime in the distant future, as a smart exploration robot travels to investigate a particularly interesting extrasolar planet around an alien sun, people here on Earth might finally be able to answer scientifically the age-old philosophical question: Are we alone in this vast universe? Life in the Universe shows that the modern search for life beyond Earth did not occur without technical problems, political issues, or widely fluctuating financial commitments. Selected sidebars within the book address some of the most pressing contemporary issues that are associated with this search—including the long-standing space program debate about planetary contamination and the volatile political question: "Who speaks for Earth? "—if and when contact is ever made with an intelligent alien civilization. Some scientists and political leaders regard exobiology and the search for extraterrestrial intelligence (SETI) as rather meaningless scientific efforts "without real subjects." Other scientists accept exobiology and SETI as logical extensions of space age developments. Life in the Universe helps the reader make some informed choices concerning this search—the successful outcome of which would exert a tremendous influence on the trajectory of human civilization. Life in the Universe has been carefully crafted to help any student or teacher who has an interest in the search for life beyond Earth to discover what efforts are taking place, how they work, and why they are potentially so important. The back matter contains a chronology, glossary, and an array of historical and current sources for further research. These should prove especially helpful for readers who need additional information on specific terms, topics, and events concerning the possibility of life beyond Earth and how space technology is influencing the search for it. 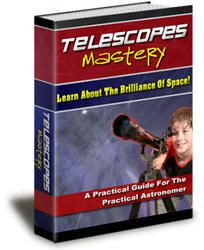 From the dawn of history, astronomical observations have played a major role in the evolution of human cultures. The modern human's distant ancestors viewed the sky and tried to interpret the mysterious objects that they saw. western areas of Eurasia during the Pleistocene epoch in the time of the last Ice Age. Neanderthals looked quite similar to human beings today—except that they had slightly pronounced foreheads, wider noses, and larger jaws. These prehistoric people were robust, short, and stocky. They were nomadic and survived by hunting and gathering. 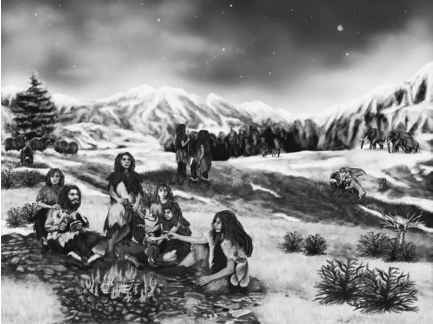 Neanderthals lived in the forest, on mountains, and within the plains regions of Ice Age Eurasia. Caves often provided them with a convenient shelter, but, being nomadic, they did not construct permanent individual habitats or villages. Plants were eaten seasonally, but about 90 percent of their diet consisted of meat. Pleistocene-epoch animals included the now extinct woolly mammoth, the bush-antlered deer, and the saber-toothed tiger. Mimicking the behavior of the modern human, the Neanderthals wore garments made of leather and fur (primarily to protect them from the harsh environment), used fire, and made stone tools and weapons. They lived in small hunter-gatherer bands with a leadership structure, wore ornamental jewelry, and buried their dead ceremonially. Like most early peoples throughout the world, the Neanderthals looked up at the sky and probably made up stories about what they saw but could not physically explain. Neanderthals appear to have become extinct about 30,000 to 35,000 years ago. Archaeologists and anthropologists now speculate that the Neanderthal was "out-competed" for resources and living space by a species of humans known as Cro-Magnons. In the clash of prehistoric cultures, primitive technologies, and levels of intellect, Neanderthals apparently lost and vanished from the face of Earth some 10,000 to 15,000 years after making contact with Cro-Magnons. Is there a lesson from such early human behavior that is applicable to people in the space age? Perhaps. The later chapters of this book speculate about the consequences of contact with alien civilizations, especially those that are more advanced than 21st-century Earth. Should the modern descendants of Cro-Magnons risk "going the way of Neanderthals" by answering a "phone call" or opening a derelict space probe from an extraterrestrial civilization? The quest for life in the universe is filled with interesting circumstances and outcomes—some of which should prove to be very beneficial and uplifting for the human species; some of which may warrant caution and concern. Prehistoric cave paintings (some as many as 30 millennia old) provide a lasting testament that early peoples engaged in stargazing and incorporated such astronomical observations in their cultures. In some ancient societies, the leading holy men would carve special astronomical symbols in stones (petroglyphs) at ancient ceremonial locations. Modern archaeologists and astronomers now examine and attempt to interpret these petroglyphs, as well as other objects that are uncovered in ancient ruins and that appear to have some astronomical significance. Did prehistoric peoples speculate about life in the universe beyond planet Earth? Probably not. Without written histories or records (hence the word prehistoric) to guide them, archaeologists, anthropologists, and other scientists can only speculate about what the objects in the sky meant to these early peoples. For many ancient peoples, the daily motion of the Moon, the Sun, and the planets and the annual appearance of certain groups, or constellations, of stars served as natural calendars that helped regulate daily life. 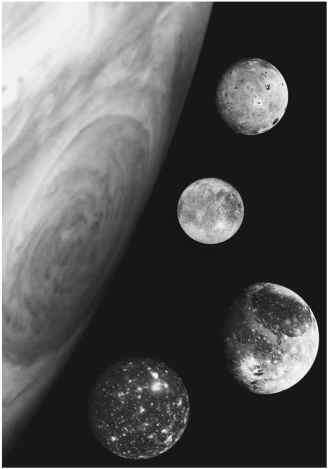 Since these celestial bodies were beyond physical reach or understanding, various mythologies emerged along with native astronomies. Within many early cultures, the sky became the home of the gods, and the Moon and the Sun were often deified. While no anthropologist really knows what the earliest human beings thought about the sky, the culture of the Australian Aborigines—which has been passed down for more than 40,000 years through the use of legends, dances, and songs—gives collaborating anthropologists and astronomers a glimpse of how these early people interpreted the Sun, the Moon, and the stars. The Aboriginal culture is the world's oldest and most long-lived, and the Aboriginal view of the cosmos involves a close interrelationship between people, nature, and sky. Fundamental to their ancient culture is the concept of "the Dreaming"—a distant past when the spirit ancestors created the world. Aboriginal legends, dance, and songs express how in the distant past the spirit ancestors created the natural world and entwined people into a close relationship with the sky and with nature. Within the Aboriginal culture, the Sun is regarded as a woman. She awakes in her camp in the east each day and lights a torch that she then carries across the sky. In contrast, Aborigines consider the Moon as male, and because of the coincidental association of the lunar cycle with the female menstrual cycle, they linked the Moon with fertility and consequently gave it a great magical status. These ancient peoples also regarded a solar eclipse as the male Moon uniting with the female Sun. The Egyptians and the Maya both used the alignment of structures to assist in astronomical observations and the construction of calendars. Modern astronomers have discovered that the Great Pyramid at Giza, Egypt, has a significant astronomical alignment, as do certain Maya structures such as those found at Uxmal, Yucatán, Mexico. Maya astronomers were particularly interested in times (called zenial passages) when the Sun crossed over certain latitudes in Central America. The Maya were also greatly interested in the planet Venus and treated the planet with as much importance as the Sun. These Mesoamerican native people had a good knowledge of astronomy and were able to calculate planetary movements and eclipses for millennia. For the ancient Egyptians, Ra (also called Re) was regarded as the all-powerful sun god who created the world and sailed across the sky each day. As a sign of his power, an Egyptian pharaoh would use the title "son of Ra." Within Greek mythology, Apollo was the god who pulled the Sun across the sky, riding in his golden chariot with his twin sister Artemis (Diana in Roman mythology), the Moon goddess. Based on available records and data, it is reasonable to conclude that from the dawn of human history until the start of the scientific revolution in the early 17th century, the heavens were regarded as an essentially unreachable realm—the abode of deities and, for some civilizations and religions, the place where a good, just person (or at least his or her conscious spirit) would go after physical life on Earth. So what happened that changed the human perception of heavens from an unreachable realm to a place to be visited? In other words, what encouraged people to begin to think about space travel and the possibility of life beyond Earth? The simple answer to this rather complex socio-technical question is the Copernican revolution (which started in about 1543) and the development of modern (observational) astronomy by Galileo Galilei, Johannes Kepler, and Sir Isaac Newton. 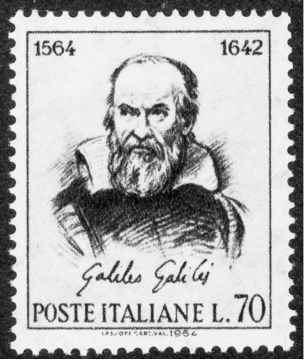 provided direct observational evidence for the Copernican model—a cosmologi-cal model that Galileo now began to endorse vigorously. The mountains on the Moon and the dark regions, which Galileo thought were oceans and seas and mistakenly called mare, suddenly made the Moon a physical place just like Earth. If the Moon is indeed another world, and not some mysterious object in the sky, then inquisitive human beings might someday try to travel there. With the birth of optical astronomy in the early 17th century, not only was the arrival of the scientific revolution accelerated, but the embryonic notion of space travel and visiting other worlds suddenly acquired a touch of physical reality. But seeing other worlds in a telescope was just the first step. The next critical step that helped to make the dream of space travel a reality was the development of a powerful machine that could not only lift objects off the surface of Earth but also operate in the vacuum of outer space. The modern rocket, as developed during World War II and vastly improved afterward in the cold-war era, became the enabling technology for human spaceflight—a pathway that would open many exciting future options for the human race. 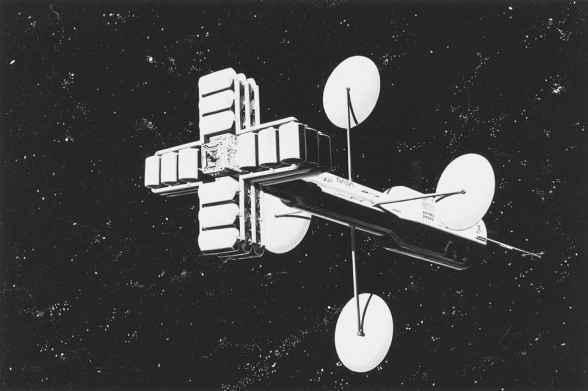 large quantities of money and engineering talent so that people could travel beyond Earth's atmosphere. From a historic perspective, the fierce geopolitical competition of the cold-war era between the United States and the former Soviet Union provided the necessary social stimulus. In an effort to dominate world political opinion in the 1960s, both governments decided to make enormous resource investments in the superpower "race into space." The remainder of this chapter shows how each of these steps—the vision, the enabling hardware, and the political will—came together and made space travel a hallmark achievement of the human race in the latter portion of the 20th century. The apex of that technological achievement was the manned lunar landing missions of NASA's Apollo Project. The scientific search for life beyond Earth became an integral part of space exploration activities. Looking for alien life on other worlds left the realm of science fiction and grew into the exciting new field of science called exobiology (or astrobiology).